Mahvash Siddiqui is an American diplomat; she joined the American Foreign Service in 2004. She is the Environment, Science, Technology and Health officer in the US Embassy in London. Ms. Siddiqui previously served in Iraq, Qatar, India, UAE and Washington DC. Her professional expertise is in combating terrorism, nonproliferation/ nuclear security, business/investment and climate change. 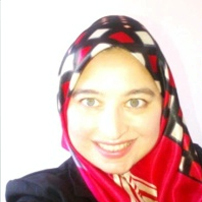 Ms. Siddiqui’s career highlights include working on the Arms Trade Treaty, combating the work of 55 foreign terrorist organizations, handling water security issues in Iraq during the ISIS attack of Mosul dam, and supporting the launch of the first satellite “Tigrisat” in Iraq to study climate change. Ms Siddiqui also worked on the largest nuclear decommissioning project in Iraq. Most recently, Ms. Siddiqui was responsible for drafting the Climate Change chapter of the Quadrennial Diplomacy and Development Review, a four year strategic plan for her agency. Ms. Siddiqui’s academic background includes genetic engineering and neuroscience, as well as an MBA in Finance, all of which she acquired at UCLA—a school in the vicinity of Hollywood. Mahvash hails from sunny California. She arrived in London on November 18th and very much looks forward to enhancing the special relationship with the United Kingdom.